MODEL NS163 - MOST POPULAR! 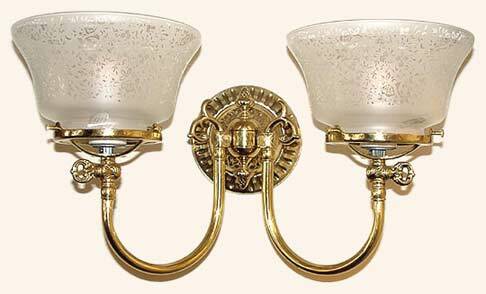 An interior designer favorite, this period accurate Victorian two light two arm gas light wall sconce. Complete with etched glass shade and faux gas keys for realism, it is well suited for the discerning tastes and placeable in many locations..
Width 17 In. / Projection 10 In. / Depth 9 In.